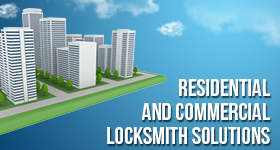 As a professional company, we can dispatch a Chestermere locksmith 24/7. You can depend on us every time you are faced with emergency key & lock problems or want to prevent them with services. And when it’s time to replace locks or install deadbolts, you can be certain that we will send you the best local locksmith for the job. In short, we are the go-to locksmith company no matter what service you need. Whether or not it is urgent, you can be sure of the fast response of the pros and their impeccable work. We work with experienced locksmiths that travel well-equipped and are qualified to provide any lock or key service is needed. Just call Locksmith Chestermere to have your needs properly and swiftly served. When your home locks become damaged, call us and we will send you a residential locksmith. We will do so every time you reach out to us for house key and lock repair and installation services. From duplicating and replacing keys to fixing and rekeying locks, the pros are trained to do any job requested. They arrive promptly and have expertise in all home door locks and their services. Need lock installation? Want to replace the mail box locks? Call us and a lock smith will soon come out. 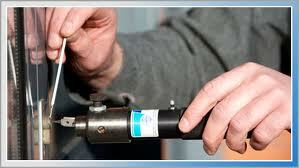 There is no need to wait long when you want auto locksmith service in Chestermere, Alberta. Is the ignition key broken? Is it stuck in the ignition switch and won’t come out? Do you like to change the car locks or program the transponder key? A well-equipped car key & lock specialist arrives promptly to take care of any trouble. Time to increase the security of your company with a master key system? Seeking a commercial locksmith to replace locks? Let us be of service. Call our company whenever you want to make changes to meet the security needs of your working environment and when you are faced with troubles. You can count on our fast assistance and the excellence of the locksmith service. All key and lock emergencies seem dreadful until you put our number on speed dial. Make one call and a 24 hour locksmith will serve you minutes later. We are at your disposal for fast and 24/7 services. Whether you need a pro to change or rekey locks urgently, fix a lock problem, unlock the trunk, or change keys, we are here for you. With a deep understanding of your agony when urgencies happen, we send you the most competent emergency locksmith in Chestermere and in no time flat. Call us.